You are here: Home / Is It Paleo? / Is Almond Milk Paleo? Why Is Almond Milk Paleo? 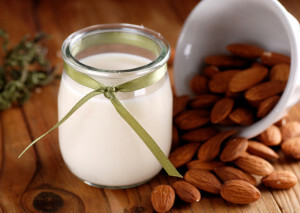 Which Almond Milk Is Paleo? What Does Almond Milk Contain? 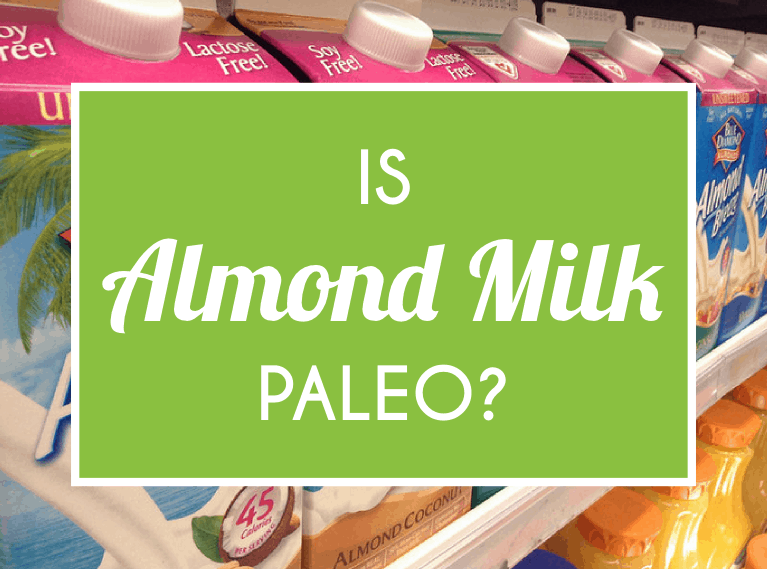 So, Is Almond Milk Paleo? Yes, almond milk is paleo. Almond milk is paleo because it is mostly made from two paleo ingredients: almonds and water. In an ideal world, all almond milk (which is not actually “milk”, as it contains no dairy) would be made by first soaking organic almonds and then blending them with water. This almond “pulp” would then be strained, so that only the water (with an essence of almond taste) would remain. Unfortunately, this is not the type of almond milk you will find available in your grocery store. You might not even find this in your local health food store. 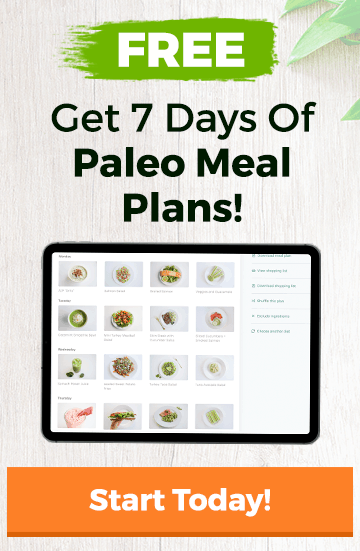 Check out our Paleo Diet Food List. If you want to drink simple almond milk, you will probably have to make it yourself. Many people choose to do so, to avoid all of the chemicals and unnatural additives used in many commercial almond milk products. Making homemade almond milk is a relatively easy process. The finished product is also said to be even better than the store-bought variations, though it may be a touch more watery due to the lack of thickening agents. Homemade almond milk requires very few ingredients. Most recipes just call for almonds, water, and perhaps a sweetener like raw honey, stevia, or pure maple syrup. Because all of these ingredients are natural, nutrient-dense, and not harmful (unless eaten in inappropriately large quantities), this type of almond milk is always paleo. The same method could also be used to make other nut milks: cashew milk, hemp milk, macadamia milk, or hazelnut milk, for example. As long as the ingredients used to make the “milk” are paleo, the finished product itself will also be paleo. While almonds are extremely nutrient-rich and they provide many health benefits, almond milk does not actually contain many nutrients. This is because the pulp of the almonds, which contains all of the good stuff, is strained and discarded when the milk is made. This is especially true of store-bought almond milk, which contains even fewer nutrients than homemade milk. The end product is not much different to water. It’s a thin, white-ish liquid, which has only a slight taste of almonds and barely any sweetness (unless a sweetener is added). Almond milk is very low-calorie, usually containing only thirty to forty calories per eight ounces of unsweetened milk. It also contains minimal carbs, protein, fiber, and sugar. The same cannot be said, however, of sweetened almond milks. These often contain a high amount of sugar and therefore more carbs and more calories. Any time a brand advertises that its almond milk contains high levels of calcium, vitamins, minerals, or protein, you can bet that that’s because of added synthetic nutrients rather than the almonds. As a general rule, it’s always best to make your own. A basic homemade almond milk recipe will include only basic ingredients like almonds, water, salt, vanilla extract and maybe a natural sweetener, like maple syrup. The same isn’t true of most store-bought almond milks, so use some caution when buying packaged kinds. Nearly every brand of cartooned almond milk is going to be made with lots of other not so great or natural ingredients: fillers, thickeners, extra flavors, sugar, artificial flavoring, etc. Why do store-bought almond milks tend to be packed with so much junk? 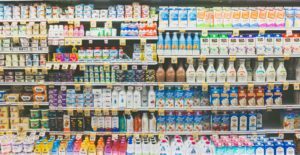 Just like with most packaged foods, it basically comes down to manufacturers wanting to make more money. Since the tiny fat molecules in almond milk tend to separate and go bad after a short period of time, losing its taste and appearance, ingredients need to be added to keep a consistent look, to preserve freshness and to kill bacteria that can grow. To make your own almond milk, get organic (unbleached, salted, roasted) almonds and grind them in a high speed blender with filtered water, then you strain the pieces out and add whatever flavoring you’d like (some raw honey, pure maple syrup, coconut palm sugar and vanilla extract for example). Almond milk makes a great ingredient in many Paleo recipes. Because of its neutral taste and easy application, it makes a great supporting role player. Whether it’s in tea, a smoothie, or making a creamy Paleo-friendly sauce, almond milk can almost do it all. Here are some of our favorite recipes featuring almond milk from our recipe archives. Give up your expensive coffee addiction with this simple and modifiable cold chai tea recipe! This recipe can be customized in a variety of ways to suit just about any palate. Add a dash of stevia or a splash of vanilla extract. Get fancy and top the beverage with some paleo or primal cream and a sprinkle of cinnamon. The options are endless! Almond milk brings a creamy and nutty flavor to this smoothie. Cantaloupe is a great source of vitamin A. Mixed berries, well, who doesn’t love those? 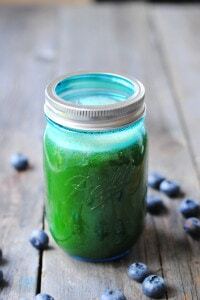 Blended together, these ingredients form a delicious and healthy green smoothie. Succulent browned chicken gets a healthy, delicious boost of flavor from cauliflower cream sauce. It’s rich, delicious, and comforting and the perfect meal after a long day. Paleo pancakes are a wonderful way to start off a Saturday morning. Ripe bananas provide a delicious base for this recipe. Feel free to add nuts or chocolate chips into the batter if that’s your kind of thing. Pour only a small amount of batter into the skillet at a time because smaller pancakes will be easier to flip over. Make a big stack and top with blueberry syrup for a decadent breakfast. While almonds and water are paleo, nearly all commercial brands of almond milk come with a far more complicated list of ingredients. For example, Blue Diamond unsweetened vanilla almond milk – one of the most popular almond milk products on the market – contains the following ingredients: calcium carbonate, tapioca starch, sea salt, potassium citrate, carrageenan, sunflower lecithin, natural flavor, vitamin A palmitate, vitamin D2, and d-alpha-tocopherol (natural vitamin E). These added ingredients were obviously not available in Paleolithic times, nor are they very natural or healthy. This is why paleo followers are encouraged to stick to homemade almond milk. Big manufacturers of almond milk (like Blue Diamond, Silk, and So Delicious) add a range of unnatural ingredients to the milk to help preserve, thicken, and add taste to the milk, as well as to keep it from separating. So, while it may be convenient to purchase an almond milk product from the supermarket that will last for a month or more, there is a price to pay for that. The best kind of almond milk to consume on the paleo diet is the homemade variety, made using only water, almonds, and a natural sweetener such as honey. Certain stores may stock this type of almond milk, but many do not. Currently only a few select companies sell quality almond milk, so you’ll want to check the ingredients carefully. Try to find a brand that doesn’t use carrageenan and lots of sugar (like Silk for example). Buy “unsweetened” whenever possible, although vanilla flavored is usually okay because the taste usually comes from vanilla extract and not added sugar.